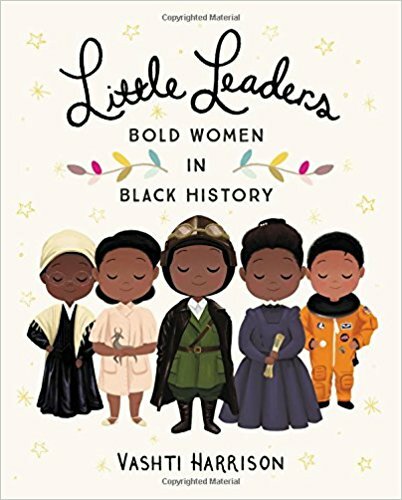 Let's start the year off with some great books featuring Leaders of Color. 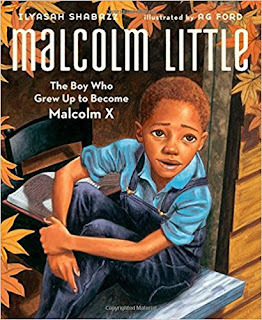 Please, please, please, please remember that while it is wonderful to celebrate and acknowledge a culture during specific months, these books should be a part of your classroom library and classroom discussions every month. All the time. They should be weaved into classroom continually. Please, don't let these books sit on a shelf to only make a debut once a year. This book isn't out until June 19, but I've already preordered it! Katherine Johnson was a mathematician who worked for NASA. 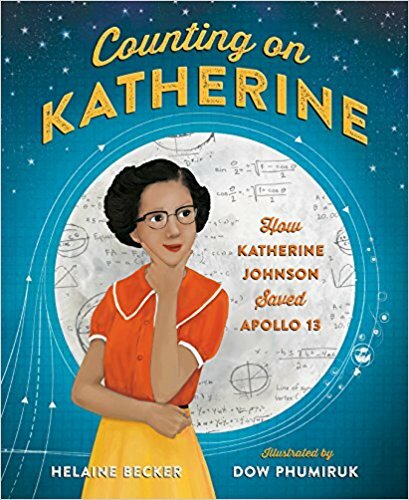 Due to her knowledge and quick thinking she was monumental in ensuring Apollo 13 returned safely. I'm so excited to see this book for many reasons. One, a woman in a leadership role. Two, a woman whose job was to solve complex math problems. And three, she's a woman of color!! I just can't wait to share this story with my students. My husband just gifted me this book as part of our New Year Book Flood gift exchange. The illustrations in this book are beautiful! 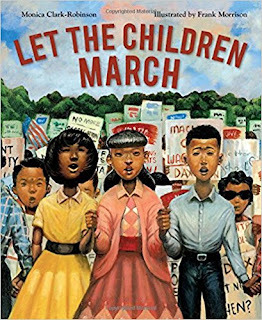 The author does a wonderful job explaining the integral part children played during the Civil Rights. 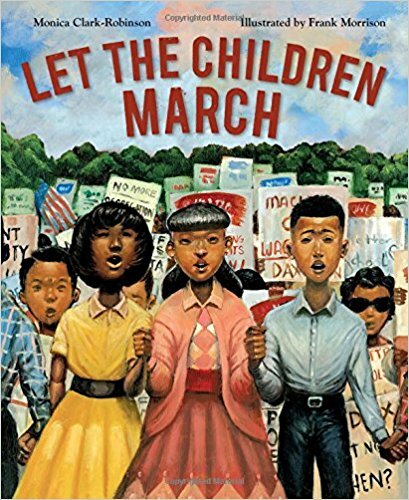 The Children's March was a turning point for African Americans in the south and this book does a wonderful job highlighting that. Younger students will need some background knowledge about the climate of the south during this time. Probably my most favorite purchase in the last month. I am so in love with this book. Each page features a new leader who has done amazing things. It is a quick and inspirational read. My goal is to read one of these a day to my students, so they learn about a new leader every day! The illustrations are simple and quaint. This book is in my top 10 most favorite! Kadir Nelson creates some of the most beautiful, detailed, and inspiring illustrations I have ever seen. He continues to write beautiful books with amazing illustrations. I always feel like I'm part of the story because his illustrations are so life like! This book is completely appropriate for younger students without needing a ton of background knowledge. Another beautiful book with amazing illustrations. An Afro-Latino, Arturo Schomburg had a large collection of African centered texts. 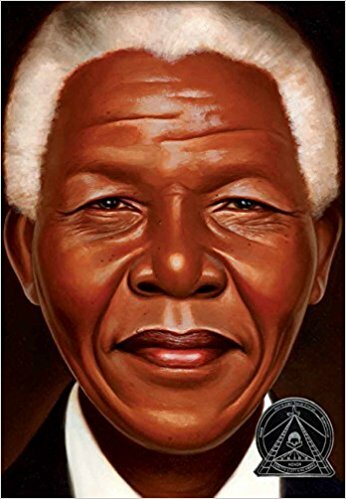 He worked with the New York Public Library to preserve those texts so that future generations could learn about the history of African writers, poets, and artists. 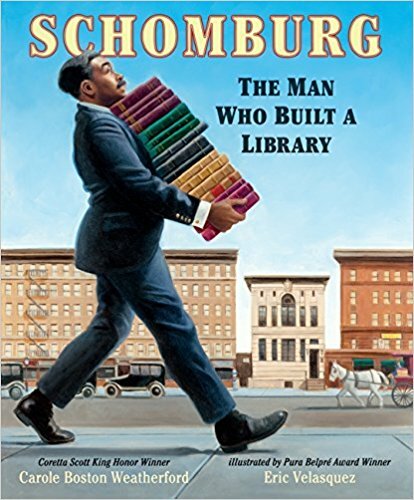 This book highlights the amazing work of Schomburg, a little know figure in history. This book is quite long, as would be expected. While it is a picture book, it isn't suitable for a one session read aloud. Younger students would have some difficulty with the entire text, but would easily benefit from hearing parts of the story. Regardless, this is a must have for any teacher, as it sheds light on a fascinating part of American history. I love that his book is in English and Spanish, we need more diverse books in Spanish. 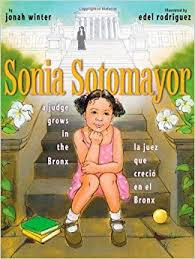 I also love that this story provides a mirror opportunity for many of our students, as it tells the story of Judge Sotomayor as child in the Bronx. I've suggested this book many times, as I find there are just so many things to love about this book. It's perfect for younger students! This book will be released on January 9th and you can bet I preordered it. The illustrations alone have my jaw on the floor! This is the story of how Mae Jemison became the first African American Female astronaut in space. I can't wait to read this story because I have so much in common with Mae. As a child, I wanted to be an astronaut. I even wrote to NASA and they wrote back! 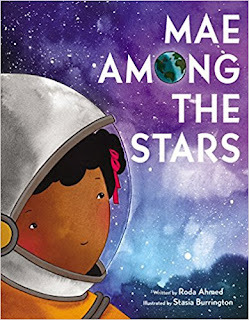 I am still fascinated with space, and I know many of my students will see themselves in her story. 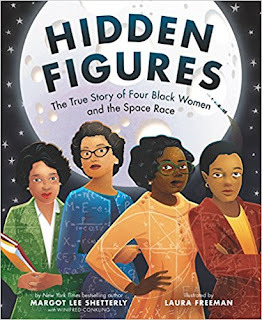 More importantly, I hope it sparks an interest and love of space and science in some of my girls! I'm sure you are very familiar with the story of Malala. This book is the perfect introduction for our students. 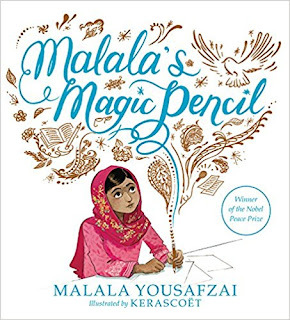 The book takes us through a journey of Malala's magic pencil. We learn of all the wishes she would wish to make her world a better place. I think the book is a wonderful inspiration for younger students. One of my personal goals, is to integrate books about Malcolm X into my curriculum. In college, I was fascinated to learn more about Malcolm X, and I felt that my teachers had done me an injustice by excluding him from my education. This book is on it's way to me, and when it arrives I will give it a full review. From what I can tell from the previews online, the book is somewhat text heavy. Dolores was a teacher, activist and mother. 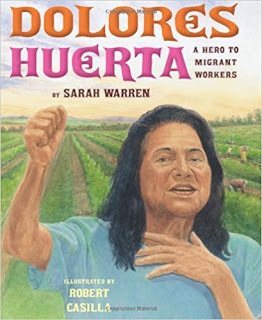 Her work in the classroom led her to fight for the rights of migrant workers. This book is better suited for upper elementary students. However, I feel younger students will appreciate the story of an important woman in history. This book is set to release on January 16th. I have definitely preordered this book and I CANNOT WAIT!! This book looks beautiful! It was written by the same author who wrote the adult version of Hidden Figures. You know, the one that went on to become a movie!! I'm pretty sure this book will quickly become a favorite among teachers AND students! Which one of these titles do you look most forward to adding to your classroom library? Thank you so much for putting together such a fabulous list. Excited to add these books to my library and share it with my students.